"Imagine a world where incurable diseases can in fact be cured. Where failing hearts can be strengthened without surgical transplant or donor organs. ... Science has long known that the human body responds to injury and disease by attempting to heal itself. 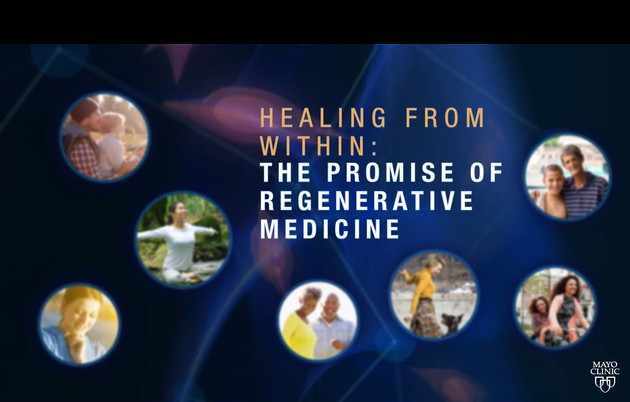 Regenerative medicine accelerates this natural healing process by harnessing advances in biology, immunnology and other sciences to restore health and function to damaged tissues and organs." Learn more in this Discovery's Edge video.